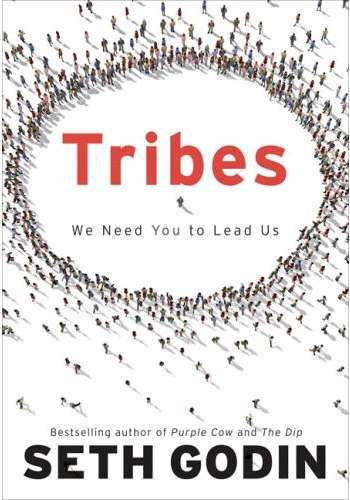 Seth Godin’s newest book, Tribes, touches a concept near and dear to me…organizing groups, or Tribes, and helping them get things done. This is not to say I have been terribly successful at this activity, but I love helping people achieve things and doing it any way I can. I was interested in Tribes for exactly this reason. I wanted to see what Godin had to say about organizing people and creating “movement” to see if there was anything I could be doing better. Of course, there is always something more you can be doing, so I took away a few good ideas from the book. He does admit, though, that there aren’t any hard and fast rubrics for he can give you for working with Tribes. You need passion and a vision and an ability to understand and care about people, but you can’t break it down into 5 easy steps that anyone can do.